Properties in Jackson Square average 4.6 out of 5 stars. Property 4: A Beautiful Jewel Box... This House Is Painted Black ! Property 12: Bywater Home w/ Garden | Walk to French Quarter! Property 19: LEGAL GUEST HOUSE -Little Eazy-Want to support the city and not just the owner? 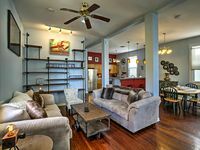 Property 31: Bywater Home w/ Porch | Walk to French Quarter! Property 41: PEARL ST. GUEST COTTAGE OFF ST. CHARLES,30 NT. MIN. 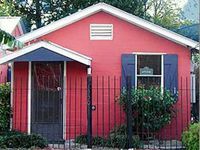 Property 42: Totally redone 3 bedroom/2 bath with NOLA charm, new appliances & furnishings!